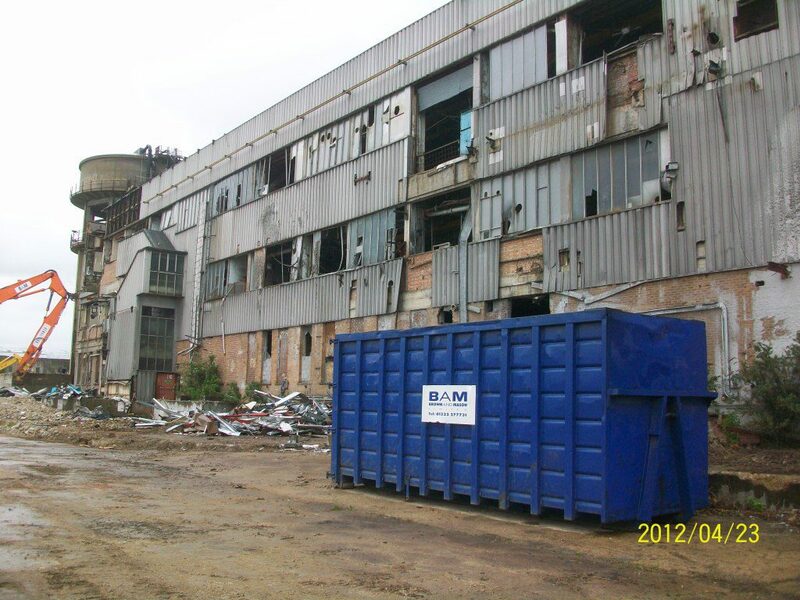 Brown and Mason have a longstanding relationship with British Paperboard, following our demolition of the mill’s in-house power plant in 2005. 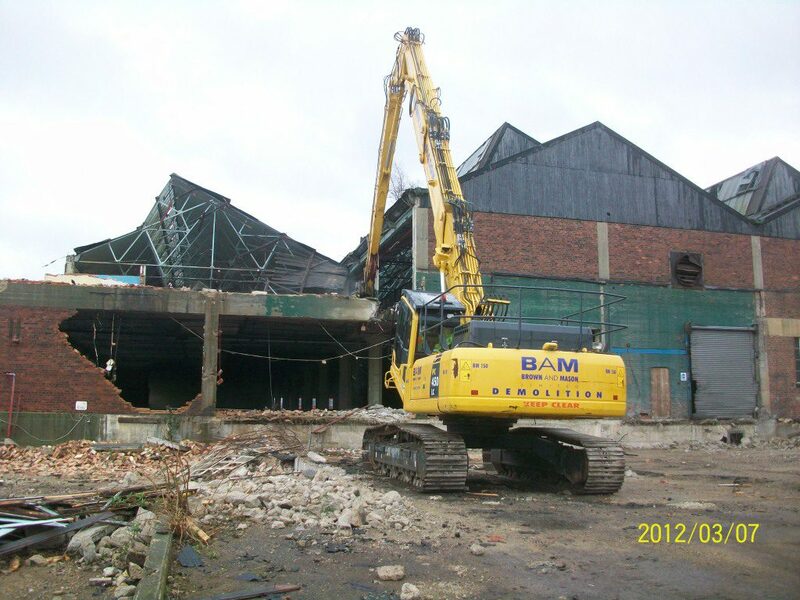 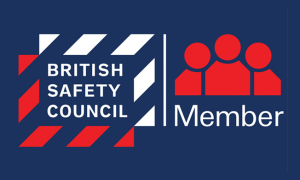 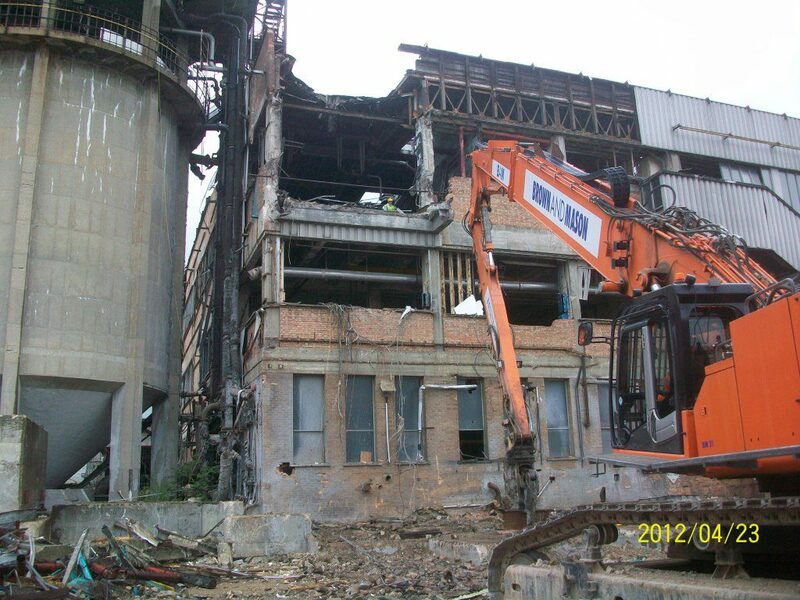 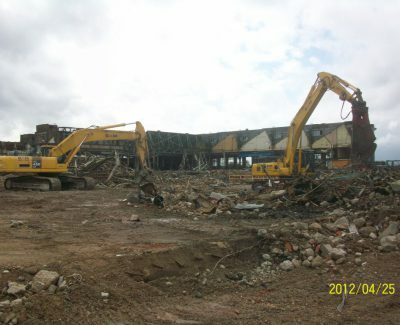 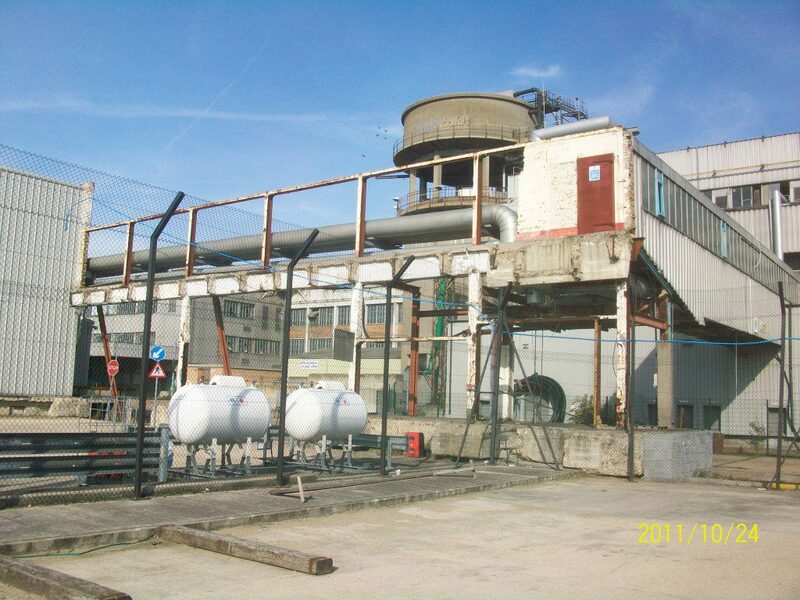 These particular works (ongoing as of February 2012) comprise asbestos decontamination/removal, demolition, dismantling and site clearance of the remaining buildings on the former BPB Papermill site at Purfleet. 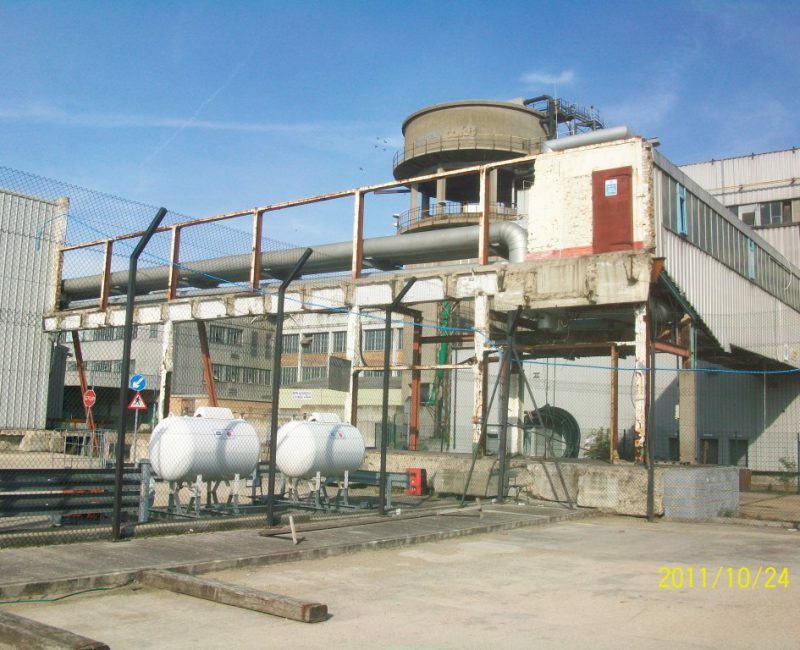 Techniques involved: limited and strictly-controlled use of hot work; collapse of various process plant buildings, offices, associated sub-stations, switch rooms, pipe work/cables/pipe bridges, plant and equipment. 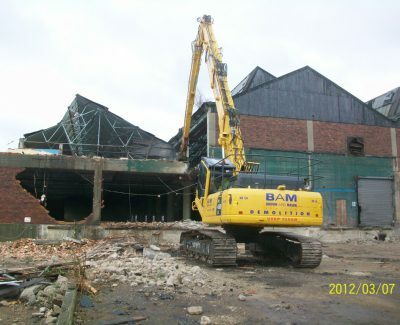 Asbestos removal was carried out significantly in advance of demolition due to a delay in gaining planning consent. 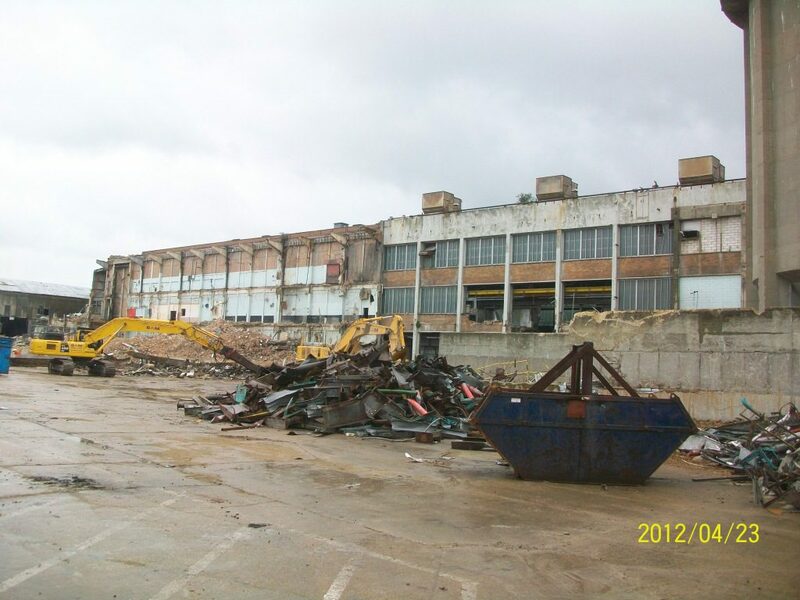 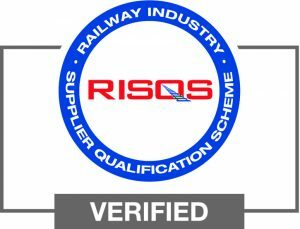 Various structures were to be protected/retained: Gas Compound, Bridge over Railway, Brick-Built Weighbridge, Security Gate House, Warehouse & Parking Area, Eastern End of Paper Mill; we developed procedures to work around these. 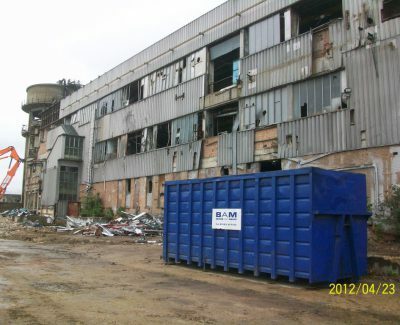 Brown and Mason carried out soft strip of all the buildings, including general rubbish clearance. 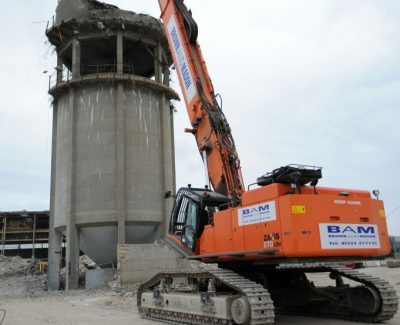 We were able to recycle/reuse a significant part of these arisings due to our good relationship with materials recycling companies in the South Essex / North Kent Area. 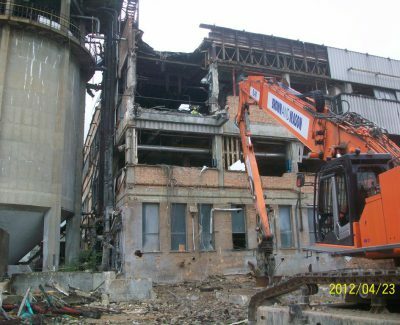 A significant contaminant on site was pigeon guano – a separate methodology was developed to make sure there was no chance of infection. 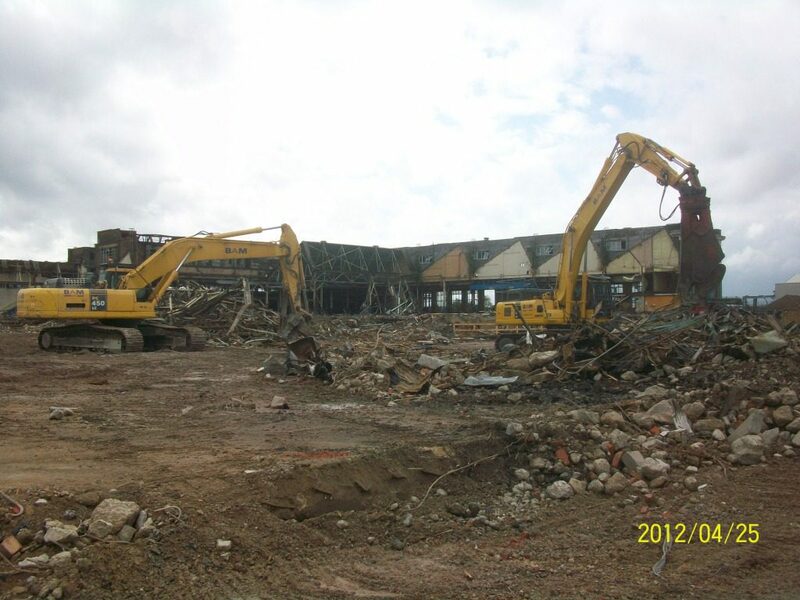 A localised ‘wellie’ wash was set up to prevent spreading contamination en-route from the working area to the mobile 4 shower head De-Contamination Unit (DCU) that was set up for our operatives to use at the end of each shift. 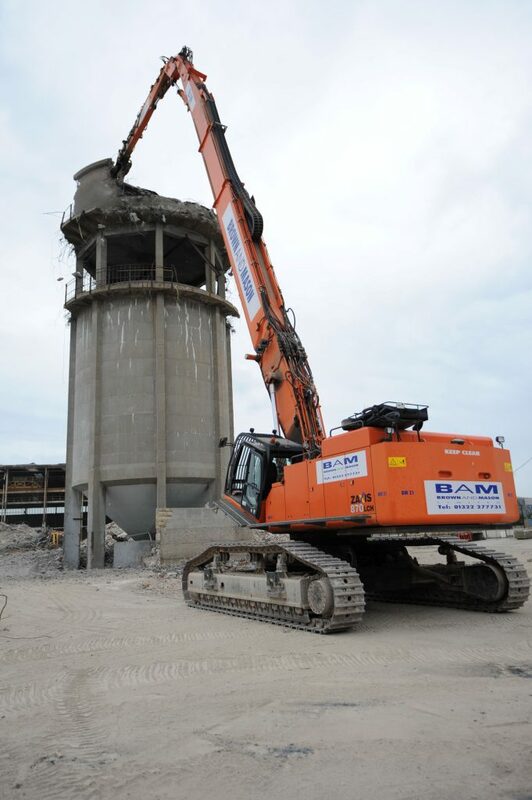 A reinforced concrete water tower is to be demolished on site using our high-reach excavators with built in damping down system. 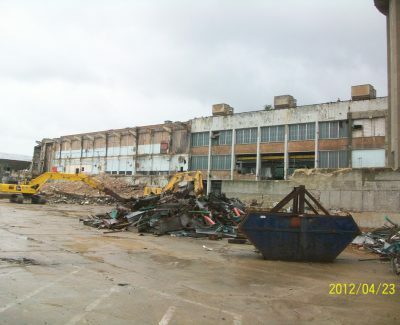 A large suspended concrete floor was to be removed from large areas of the mill building.